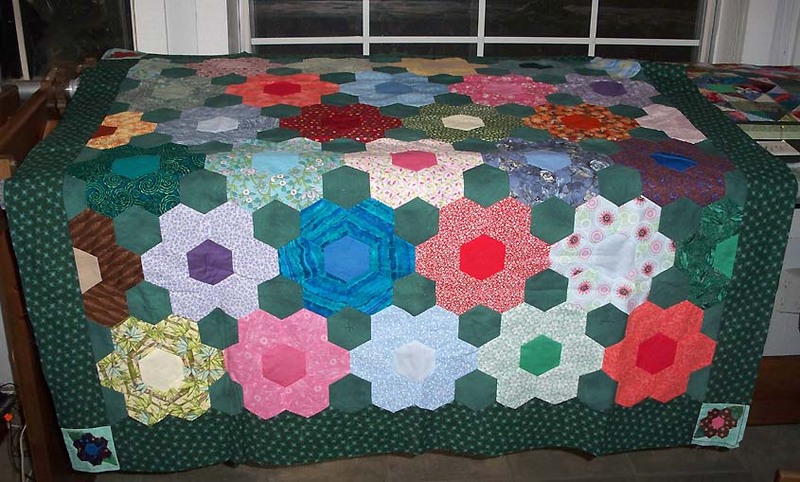 Quickly assembled this 45″ x 45″ baby quilt top using extra hexagons left from making Grandmother’s Flower Garden. Since the blocks are large, it took no time. No new babies coming to our family or friends so this remains unfinished.